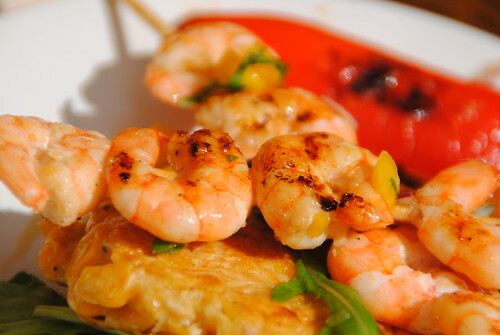 Take one griddle, a slew of tasty, fresh (in both senses) ingredients and a griddle or griddle pan: what have you got? 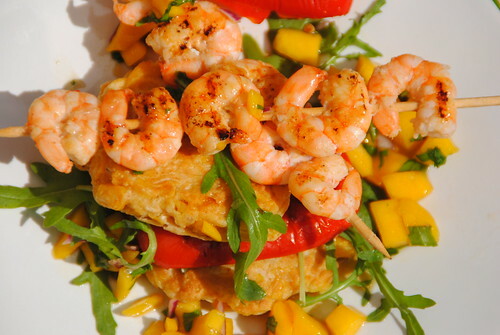 A brunch that transports you to sunnier climes – sweetcorn fritters with griddled prawns and mango sunshine salsa. South of france, a tropical island? You choose. You can find the full recipe over here on my monthly guest blog for Rangemaster. I get paid a flat rate for blogging for Rangemaster, but all the links on this page are no-follow and I do love my oven!